Sure to put to rest any lingering anxieties about German-Italian alliances, Himmel's is the new incarnation of what was once Pizza D.O.C., maintaining the original's wood-burning pizza oven and Italian specialties while bringing in some serious Teutonic treats, in a nod to the heritage of the owners. 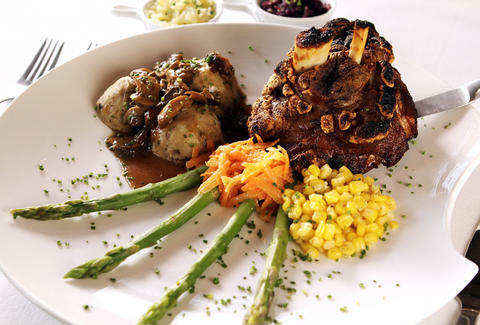 The Munich-style pork shank above gets finished in said oven to crisp up the outside before it's covered in mushroom gravy and sided with dumplings, veggies, and cabbage salad. 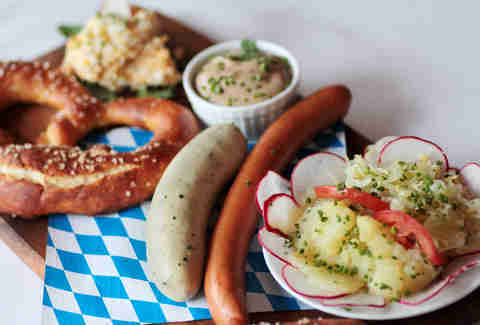 This Bavarian breakfast includes kraut & potato salads, a pretzel (of course), veal sausage, and smoked wienerwurst, because if someone calls your wiener "wurst", it's already been smoked. 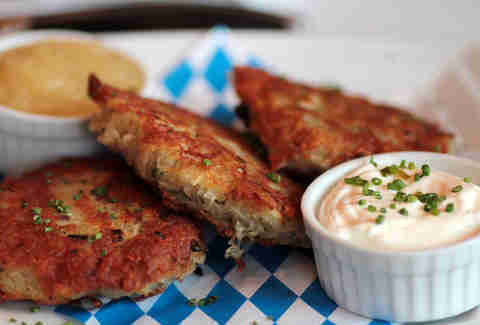 They've also got fried goodness like pork and chicken schnitzel, or ask for these applesauce-and-sour-cream-kicked potato pancakes called kartoffelpuffer. On second thought just ask for potato pancakes. 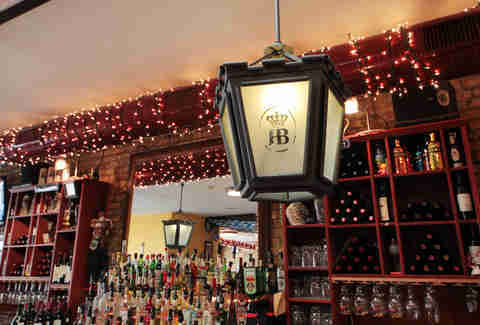 The interior hasn't been drastically overhauled, but it is sporting these lanterns imported from Oberammergau, Germany. 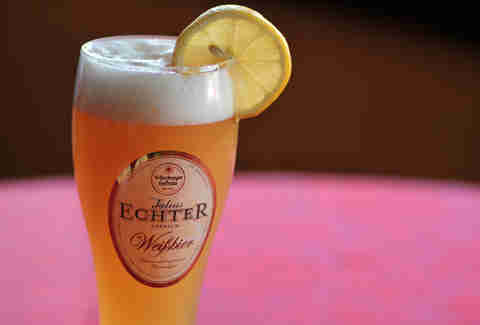 And of course they also have drinkable imports like Julius Echter Weissbier, Hofbräu, and Würzburg Kiliani Festbier, enough of which'll have you forming alliances with literally anyone who'll talk to you.